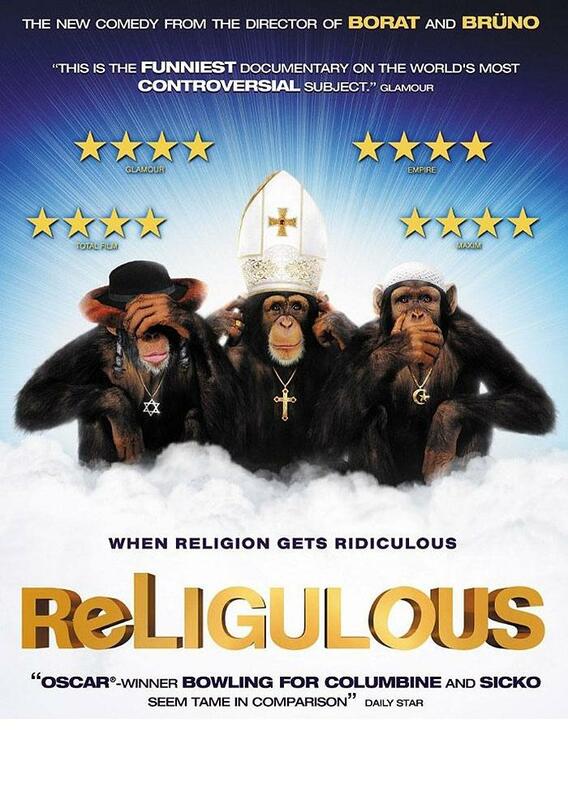 I’ve put the word ‘religulous’ in this post’s title after a documentary, or should I say ‘mockumentary’ of the same name by director Larry Charles. In it, Bill Maher goes around the US primarily to investigate certain people’s religious beliefs and comes to the conclusion these beliefs are ‘ridiculous’ – hence the title: Religulous. Bill Maher is right to point out some absurdities in certain people’s convictions, although stylistically spoken he could have done it a little less ad hominem. It’s a pity, however, that he limits his investigation to people who say they believe in ‘God’. I think it would have been much more interesting if he had shown how the psychological and sociological mechanisms that produce certain convictions are also hugely conditioning people who claim they don’t believe in ‘God’. Maybe he would have called his documentary Anthropologulous then. Whether we do or do not believe in God, we’re susceptible, as human beings, to some very strange convictions and behavior. In fact, what I’ve learned from René Girard (among others) is that ‘belief in God’ is not ‘the real problem’. Atheists are no less capable of the kind of ‘religious’ behavior Bill Maher calls ‘ridiculous’. Similar to the rituals surrounding the deities of traditional religion are, for example, pop festivals or the ceremonies honoring dictatorial leaders of atheistic regimes (such as some of the annual festivities held in North Korea). So the question should not be ‘do you believe in God’? Maybe we should rather reflect on the social and psychological mechanisms, the desires and deeper motivations which shape our life. To me, German philosopher Max Scheler (1874-1928) seems to summarize the ‘real’ dilemma when he claims “Man has either a God or an idol”. Or, to put it differently, the question isn’t so much ‘do you believe in God’ as it is ‘what (kind of) God do you believe in?’ So it’s not only a pity that Bill Maher doesn’t reveal the parallels between potentially ridiculous behavior of both ‘theists’ and ‘atheists’, it’s also a shame he doesn’t interview more people who try to develop their faith in a constant and frank dialogue with the natural and social sciences. Too bad he doesn’t get into the rich philosophical and theological traditions of Christianity. Actually, the way he reads the Bible is none other than the way his adversaries read it – he just comes to a different conclusion. In this sense he imitates his adversaries and becomes somewhat of a ‘mimetic rival’. Bill Maher is oblivious to the basic hermeneutical principles that were used by educated theologians throughout the ages (and from the get-go, meaning these principles were also used by the biblical writers themselves!). Nevertheless, all these remarks on content and style aside, it must be said I did enjoy quite a few hilarious moments in this documentary. 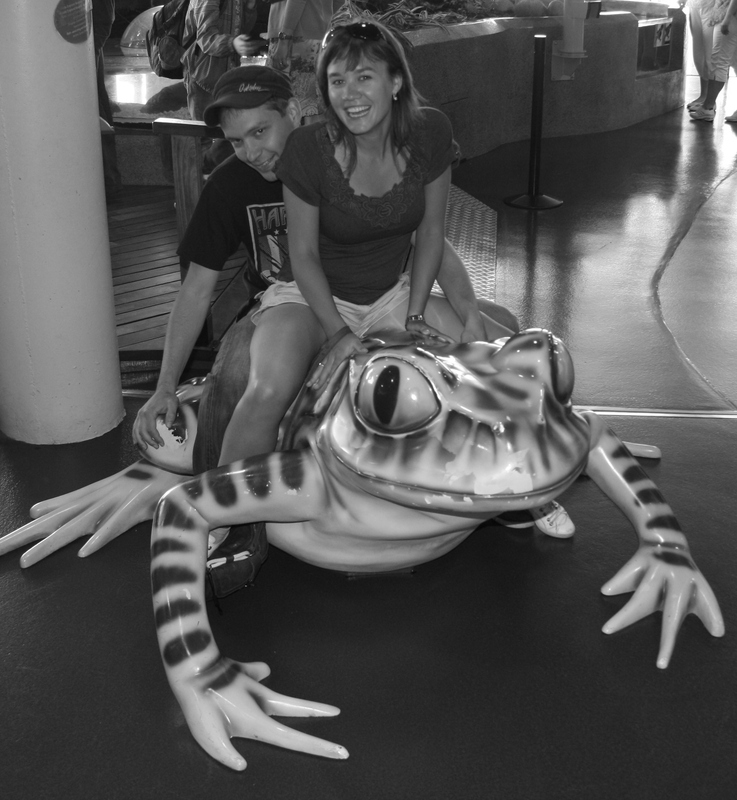 I thought about it when I recently visited Barcelona together with my wife to celebrate her birthday [Was she happy? Yes, she was!]. We were there when Barca, the unmatched and world-famous soccer team that is, had to play the Champions League final at Wembley against Manchester United. 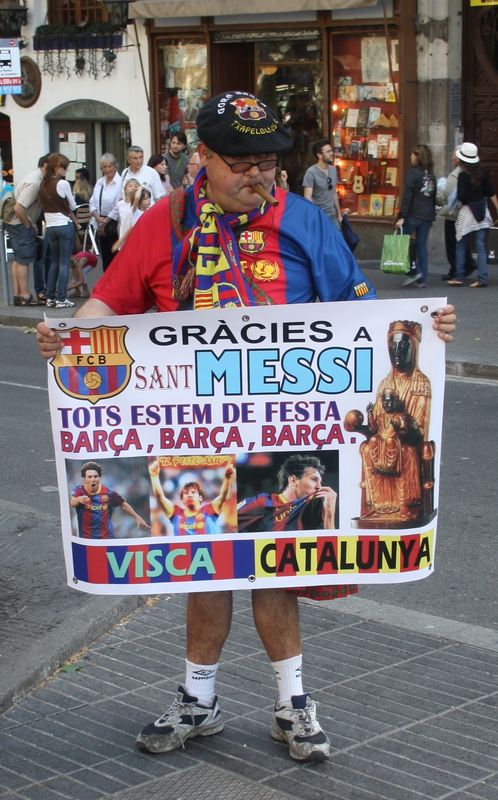 So we were confronted with exuberant Barcelona soccer fans the night their team won this important match. At the same time we witnessed a leftist manifestation that went on for a few days at the Plaça de Catalunya. 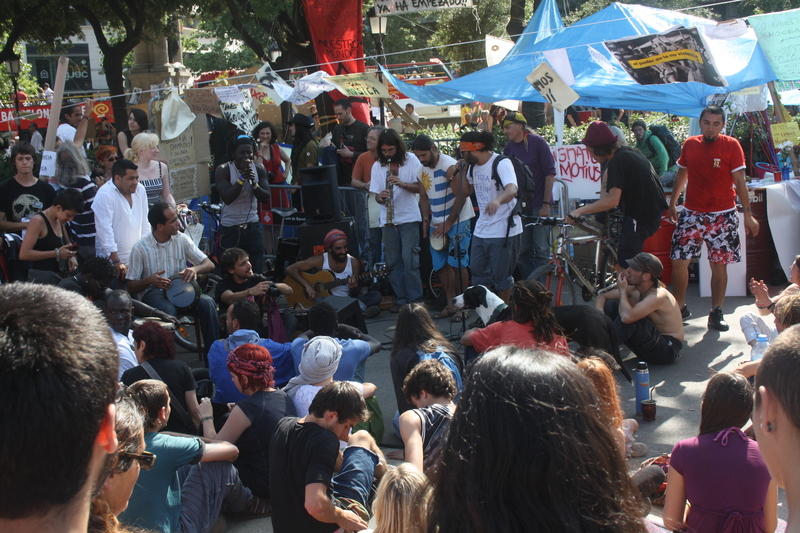 Mostly young people were gathered there to demand governmental and economic reform that should result, among other things, in job creation, since unemployment is on the rise in Spain. In both instances we witnessed what Bill Maher would call ‘religulous’ behavior. I don’t want to imply that supporting a soccer team is ridiculous as such. It is, however, a social phenomenon that is susceptible to extreme and bizarre behavior, as it tends to produce processes of idolatry. The picture on the left indeed shows that Lionel Messi is treated like a god by some of his fans. I neither want to imply that the unemployment claims made by the Spanish youth at the large square in central Barcelona should not be taken seriously. I just wanted to record how people sometimes ‘strangely’ behave when they’re united against a ‘common enemy’ (in this case ‘the system’). Amidst all of this social upheaval and turmoil both my wife and I were driven by yet another herd of people towards the work of famous architect Antoni Gaudí (1852-1926), especially his Basilica Church La Sagrada Família. Never to be completed during the architect’s lifetime, this amazing monument is now finished on the inside and, perhaps needless to say, visiting it opened my senses and heart to another kind of religious, even ‘spiritual’ experience. It was like walking into the spatial mind of a genius who devoted his life to the creation of a sphere where people could ‘reconnect’ with themselves, each other, nature and, ultimately ‘God’. As is known, Gaudí was a devoted Catholic who put all of his talents as a scientist, mathematician and artist at the service of ‘The Holy Family’. His work displays a deep awareness of the interconnectedness, indeed ‘familiarity’ of all that is. Moreover, Gaudí was convinced people could only ‘find’ them‘selves’ if they discovered there was no ‘self’ apart from a ‘being’ that ‘is’ always already ‘in relationships’. What and who we are is first and foremost ‘given’ – it is not something we autonomously create. To deny this, is to surrender to what René Girard would call a ‘romantic deception’. From the point of view of Girard’s theory on imitation (his ‘mimetic’ theory) blindly copying exactly occurs when people feel they are not imitating at all. On the other hand, people who realize they are dependent on others will develop a creative kind of imitation, allowing ‘originality’. By consciously imitating something or someone other you’re indeed saying two things: that there is a likeness between yourself and that other and that there’s also a ‘distance’ (otherwise imitation would not be possible). One could even say that imitation somehow creates this distance, a kind of ‘space’ where men each become ‘others’ towards… others. 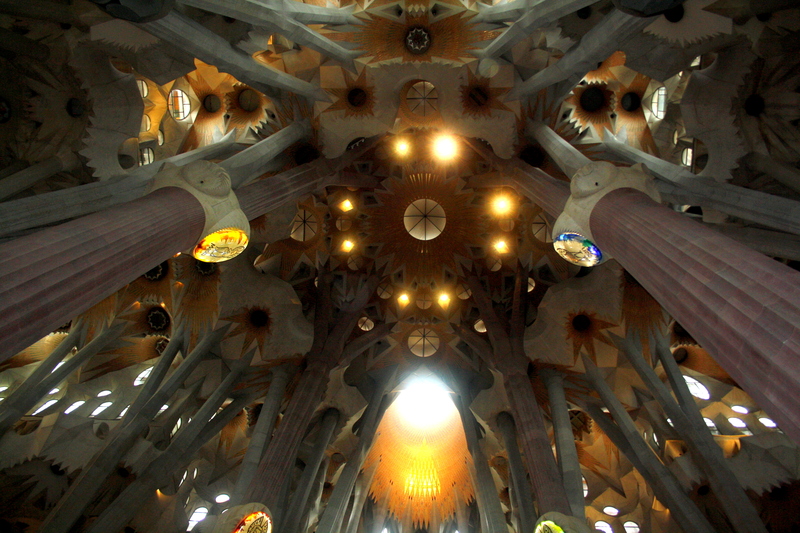 Lorenzi Marcella Giulia and Francaviglia Mauro wrote a very interesting article on Gaudí’s La Sagrada Família in the Journal of Applied Mathematics (click on the title to read it): Art & Mathematics in Antoni Gaudí’s architecture: “La Sagrada Família”. 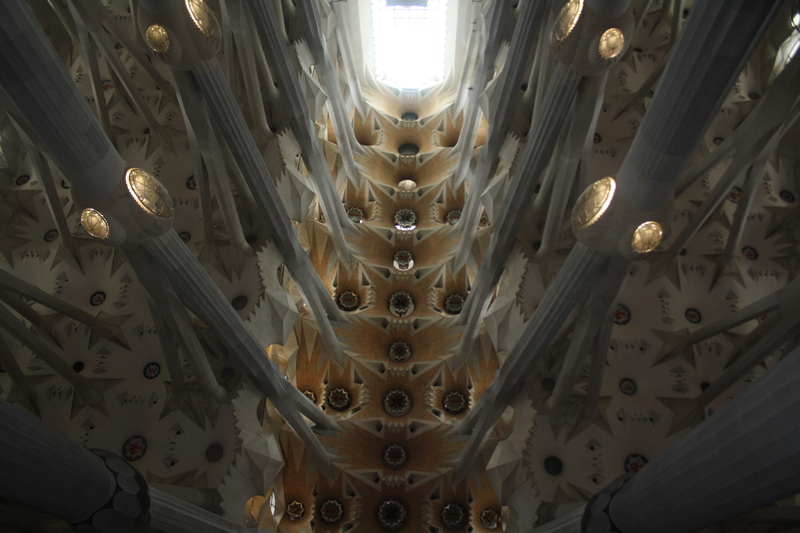 I especially recommend it to those mathematicians who want to taste something of Gaudí’s peculiar spiritual take on science. Of course there are other ways to enjoy the swarming life in God’s grace – “His ways are manifold”. 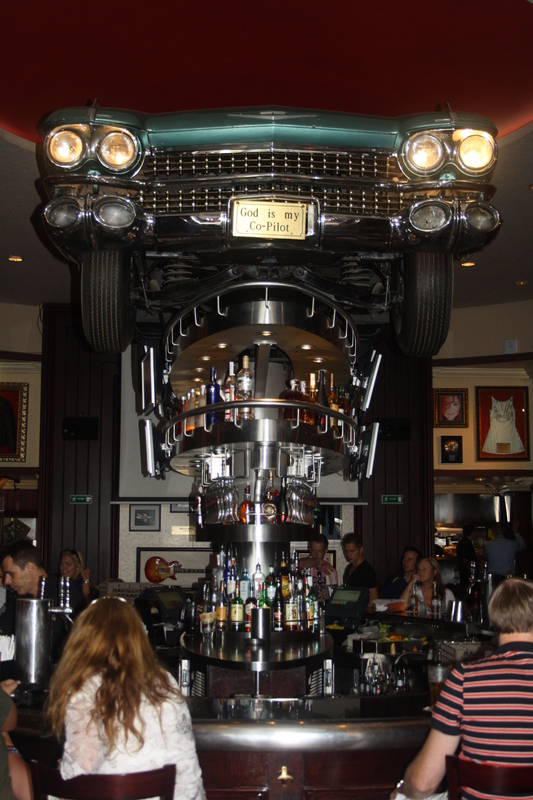 Try for example the Hard Rock Cafe in Barcelona, and discover “God is my Co-Pilot”, celebrating that good old rock ‘n’ roll music!